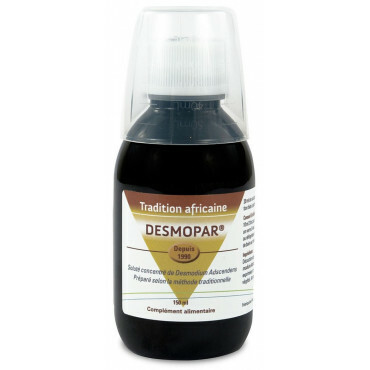 Desmopar® improves hepatic functions. It is a powerful concentrated solution of Desmodium Adscendens. Its formula is prepared following traditional extraction methods and dosage. Praised by users and therapists for more than 30 years, Desmopar® soluté remains an undisputable product in this field. 10 ml twice a day before meals, dissolved in a glass of water (with or without sugar). Shake before use. Keep in fridge after opening. It is recommended to drink 1 liter of water minimum per day. It is possible to adapt to the body weight : 3 ml for 10 kg. Drinking solution. Bottle of 150 ml measuring cup. Aqueous decoction of Desmodium 93% (Desmodium Adsendens standardized at 0.5 g/l of flavones expressed in vitexin). Stabiliser : glycerol from plant origin. Flavouring : natural red fruits flavour, Rosemary essential oil (Rosmarinus officinalis). Preservative 0.2% : potassium sorbate. Acidifier : citric acid. 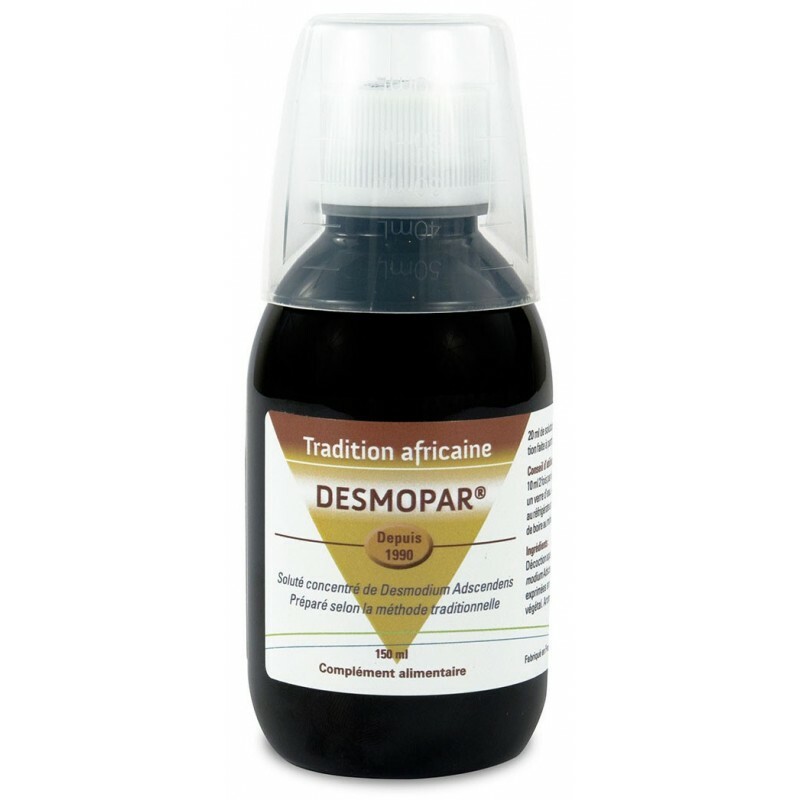 Desmopar® is the unique concentrated solution of Desmodium since 1990. Has been promoting the plant for more than 10 years. 20 ml of solution equal to a decoction made of 10g of dry plant.